Research reported in this publication was supported by the King Abdullah University of Science and Technology (KAUST), Saudi Arabia. We wish to thank the various international modeling groups for providing their data through the CMIP5 initiative. We also would like to thank the NOAA/OAR/ESRL PSD, Boulder, Colorado, USA, for providing the NCEP reanalysis data. 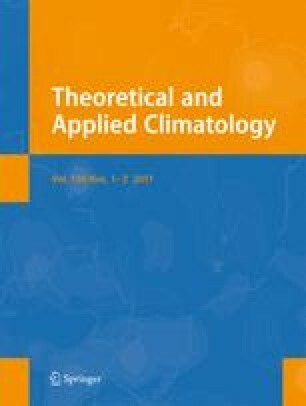 Brohan P, Kennedy JJ, Harris I, Tett SFB, Jones PD (2006) Uncertainty estimates in regional and global observed temperature changes: a new data set from 1850. J Geoph Res Atmospheres 111(D12), doi: 10.1029/2005JD006548.